to register your interest. You will be contacted once there are enough participants to start a class. In this class, you will also learn how to vary flavours, building on the technique covered. - Demonstration by instructor and hands-on by participants. 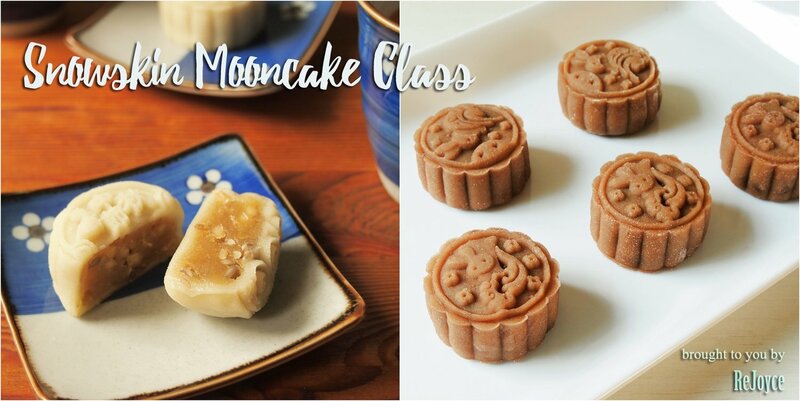 (Preparation of dough in pairs, shaping of mooncake individual handson). - All ingredients, tools and course handouts included. Please bring your own container to pack home the mooncakes. Started off as a self taught baker, Joyce embarked on the journey to create delicious vegan desserts. Not able to find any schools teaching vegan desserts in Singapore, Joyce enrolled in an overseas course with an international school - Rouxbe Cooking School. She graduated first in class with final grades of 100%. She currently holds an Essential Vegan Dessert Course certificate with Rouxbe.